Thank you for supporting our faculty, staff, & students. Since 1987, we have been equipping preachers, pastors, and churchmen for Christ’s Kingdom. For 30 years, the Lord has answered the prayers of thousands of believers who have prayed for the Seminary. Please continue to pray for our faculty, staff, and students. Keep up-to-date with the Seminary by referring to our latest News, and by following us on Social Media (Facebook, Twitter, Instagram, etc.). We also invite you to contact us directly at 864.322.2717 or at info@gpts.edu for specific updates. You can give online by credit or debit card by choosing a campaign below. To make a gift of stock to the Seminary, please contact advancement@gpts.edu, and we will provide you with the information you need, or put you into touch with our broker. To make a gift of property (vehicle, real estate, gifts in-kind, etc. ), please contact advancement@gpts.edu and we will walk you through how best to make the appropriate arrangements. Please consider including Greenville Presbyterian Theological Seminary in your estate planning. While most planned gifts come to Seminary in the form of bequests, we are able to accept other types of planned gifts as well: life insurance gifts, IRA gifts, charitable remainder trusts, endowments, etc. Please contact advancement@gpts.edu for more information. Gifts from your Will or Estate – Click here for sample bequest language. IRA Gifts – Click here to find out how to support GPTS through an IRA charitable gift via your Required Minimum Distribution (RMD). Each type of planned gift offers specific tax and other benefits to donors. To learn more, please contact Zachary Groff, Director of Advancement, at 864.322.2717, ext. 324 or by email at zgroff@gpts.edu for a confidential discussion. 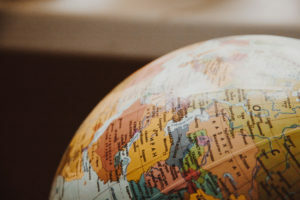 Donors who have made a planned gift or have notified the Advancement Office of future gift plans are members of Greenville Presbyterian Theological Seminary’s Fellowship for an Enduring Reformation. 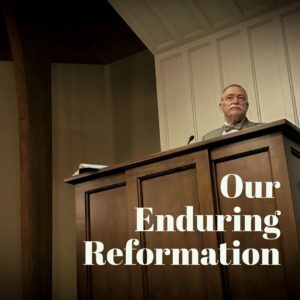 If you would like to join the Fellowship for an Enduring Reformation, please contact the Advancement Office at 864.322.2717, or by email at advancement@gpts.edu. Thank you for supporting our faculty as they pursue God’s glory by equipping preachers, pastors, & churchmen for Christ’s Kingdom. 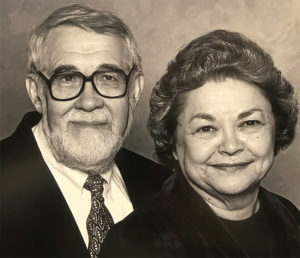 In honor of Trustee Emeritus Mr. John Van Voorhis and his many years of service to the Seminary, the Board of Trustees voted in May 2018 to establish the John & Mildred Van Voorhis Endowed Scholarship to fund full-tuition need-based scholarships for full-time resident Divinity students. The Seminary's vision is to advance an enduring Reformation in Christ's church around the globe. One of the most important strategies we employ is to equip men from abroad for ordinary means of grace ministry in their home countries. We can only do this with the generous support of sponsoring churches and individuals who share with us this vision for a worldwide Reformation. 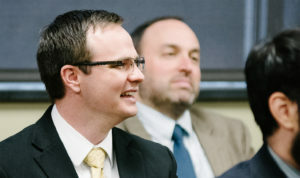 To equip men for ordained preaching and pastoral ministry in the Bible Presbyterian Church, General Synod (BPC), Greenville Presbyterian Theological Seminary is establishing an endowed scholarship fund to benefit seminary students coming from the BPC.